It’s every parent’s worst nightmare: You put your child to bed thinking he or she is safe asleep only to wake up to tragedy. Unfortunately for many parents, this scenario is becoming more reality than nightmare every day. According to the Department of Health and Hospitals, roughly 80 infants in Louisiana die from Sudden Infant Death Syndrome – or SIDS – each year. 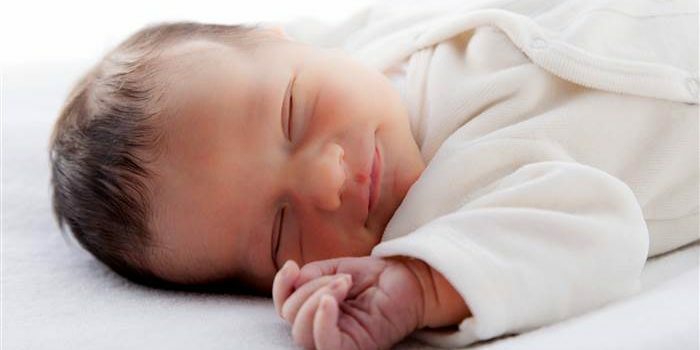 SIDS includes deaths from parents smoking or unknown reasons, but a large component – and an avoidable one – is from improper sleeping arrangements. According to the Centers for Disease Control and Prevention, approximately 1,000 infants die each year from suffocation while in bed, usually next to the parent. “(These deaths are) a result of what we call unsafe sleep environments,” East Baton Rouge Parish Coroner Beau Clark said. Those unsafe sleep environments include too much bedding in the cribs, stuffed animals placed in the bed with the sleeping child, the child being put on their stomachs rather than backs when sleeping and parents sleeping with their infants either in the bed or sofa. Clark has teamed with Safe to Sleep for tips on safe sleeping arrangements for children. One of the biggest concerns he has with infant sleeping arrangements are the blankets, pillows and stuffed animals parents place in the crib with their infants. These accessories, while seemingly harmless, present suffocation risks for the infant if he or she rolls into them in the middle of the night. Instead, he advised parents to place nothing in the crib with the child – no blankets, no pillows, no stuffed animals and no baby bumpers. Clark also recommended that parents place their child on his or her back to sleep. Newborns and many infants are not strong enough to roll themselves over, and placing the baby on his or her stomach can lead to suffocation. While pictures of infants sleeping on top of or next to their parents look cute, co-sleeping with a baby presents more suffocation risks. Adults continuously move and roll over during their sleep – whether they realize it or not – and if an adult parents rolls on top of their child, the infant has no way to protect himself or herself. Woman’s Hospital’s After Baby Comes: Baby Care, Parent Care classes help teach parents the proper sleeping instructions for parents of infants. “Alone. In the crib. Sunny-side up. And don’t sleep with your baby. It’s as simple as that,” he said. For more information, visit the NIH’s Safe to Sleep website or download its information flier. Think you know the safest way to put a baby to sleep? Take the Safe Sleep Challenge! ← Dear Doctor – I Had Gastric Bypass, But I Do Not Dump. Is This Normal?